A limited-edition custom built streetfighter based on the Ducati Panigale V4S has been unveiled by Italian design house Officine GP Design. 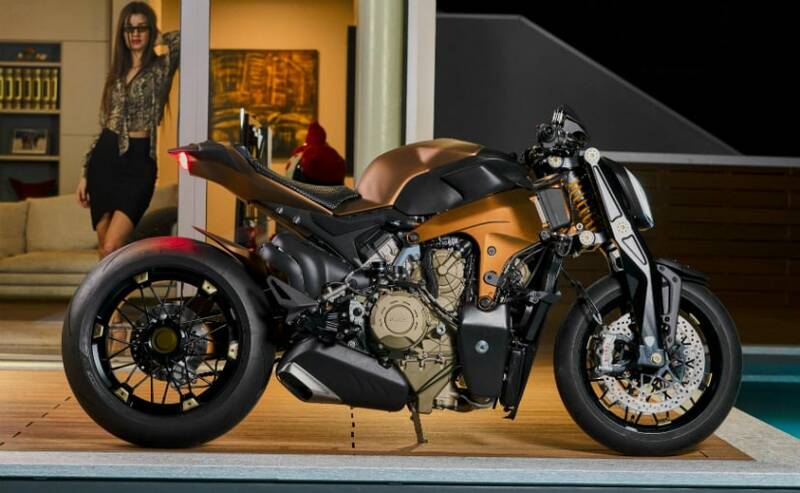 Italian design house Officine GP Design has unveiled a naked Ducati Panigale V4, a limited edition, custom build based on the Ducati Panigale V4S superbike. Only 10 bikes will be built with a price tag of 80,000 GBP (around ₹ 74.5 lakh in current exchange rates). The V4 Penta, as it's called, has several custom additions on the stock V4 S, with of course, the fairing removed completely. The V4 Penta comes with custom spoked wheels by Jonich SX, bronze powder coating on the engine and crankcase covers, and a classic styled girder front end. 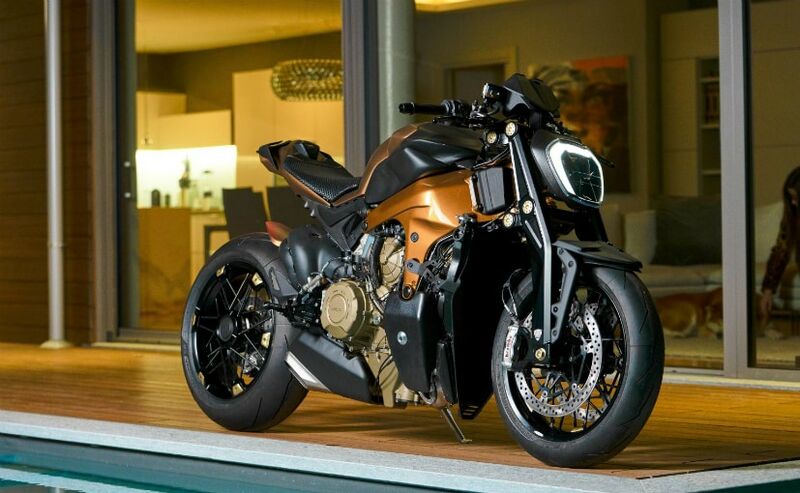 Designed by Luca Pozzato, the V4 Penta tries to be more than just a stripped down streetfighter. The most drastic change, apart from the lack of the fairing is the girder front end, instead of conventional forks. Suspension specialists FG Racing has designed the girder front end, which is made from a single billet of aluminium. The headlight seems to have been borrowed from the Ducati XDiavel, and the seat is a solo affair, crafted by Foglizzo. The clip on handlebars, indicators, footpegs and some other bits have been supplied by motorcycle jewellery maker Rizoma. The V4 Penta isn't an official Ducati creation, but it's not clear if the design brief came from Bologna to gauge market response to a naked V4, which may see official production sometime in the future. Now, it will be interesting to see if Ducati will end up introducing a naked and unfaired Panigale V4, and if it's introduced at all, expect it to be a manic performance naked!